Church life was structured to help us avoid wandering. There was a weekly routine that encouraged us to show up at the right time and the right place. Weekly worship services, prayer meeting, youth group, church social activities. You could prevent a whole lot of wandering just by sticking with the church’s activity calendar. A.J. Swoboda, the author. He’s also a professor, and the pastor of Theophilus, a church is South East Portland. Even the church structure–hierarchical, region by region across the world, men in charge (mostly white men)–was built to forestall wandering. Everyone knew who was in charge. Everyone knew who to report to. The structure was built in such a way as to quickly move in and repair any rift when pastors or churches got off track. All of it carefully conceived to prevent wandering, or even thinking about wandering. But The Dusty Ones suggests that wandering is not always bad. He says, “Wandering will be, at times, the very will of God.” Isn’t it interesting, for instance, that it’s not uncommon in scripture that when God saved people they are immediately delivered into the wilderness? Why would this be? Wandering in the wilderness is very often a necessary part of the process of growing in faith. The wilderness is where our needs become most visible and painful. Israel wouldn’t have survived the wilderness without God’s provision. When we are so profoundly aware of our needs, we also become profoundly aware of our need for God. In the wilderness, we lose the benefit of our reputation and credibility. After all, we’re wandering. Maybe we’re backsliding. Maybe we’re sinners. We’re certainly not successful. The church does the same. Success must mean the blessing of God. But in the wilderness, you don’t look successful. There’s a good chance people around you think you’re neither smart nor blessed. If your sense of value is based in any way on what others think of you, the wilderness will show you. In the wilderness, our trust is distilled. There are many reasons to love and trust God that have to do with what we gain. God does all these great things for us. Why wouldn’t we love and trust God? But in the wilderness, the days drag on. Provisions run thin. We worry that maybe we’re lost. We find ourselves with a choice. Will we continue to trust, even when we can’t see tangible benefits of blessing? Can we follow God for who God is rather than for what God does for us? The church is rediscovering the cross. Not as an abstract doctrine that can be used to explain everything away, but as a path, a way, a process, as experience. God’s intention, revealed in Ephesians 4, is that we would mature in the image of Christ. But we are starting to suspect that this doesn’t mean people will attend every church service and memorize our list of doctrines. We’re starting to see that this means something deeper, something slower. “The earliest Christians identified themselves as ‘the way,’ not ‘the arrived. '” comments Swoboda, and he’s right. 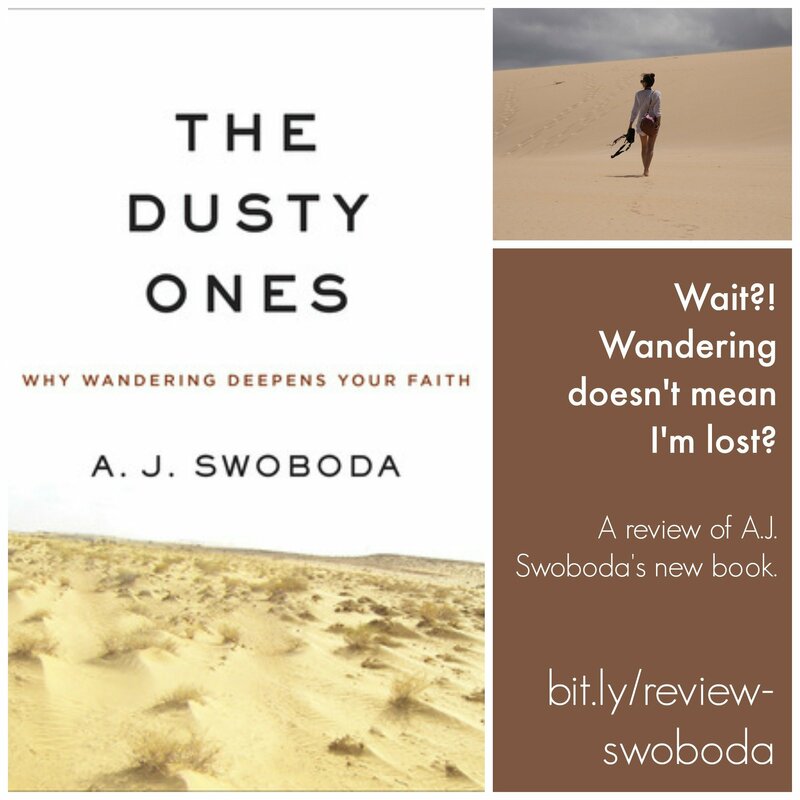 The Dusty Ones presents itself as a meditation on wandering in the life of faith, but it’s something larger than that. It’s also a pastoral reflection on a new way of being church, a way that isn’t about certainty and triumphalism, but about trust in the middle of the very real, often painful, and nearly always uncertain vicissitudes of life. As A.J. tackles different wandering Bible characters, he often deviates into side discussions. He tackles pastors who are altogether too shiny and well-put together. He touches on the Eucharist and then later how we teach doctrine. He confronts what he rightly calls “the sin of nostalgia.” He reminds us that we always interpret Scripture in a community. He asks us to reconsider God’s judgement and wrath, then challenges us on the dehumanizing presence of technology in our lives. 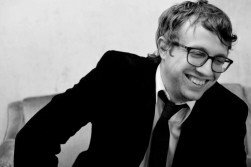 He pivots and talks about the healing necessity of a Sabbath practice. At a surface level, it seems like the book itself wanders from its premise, and yet this is as it should be. A systematic theology of wandering would be ironic, and a gross misrepresentation of the truth. 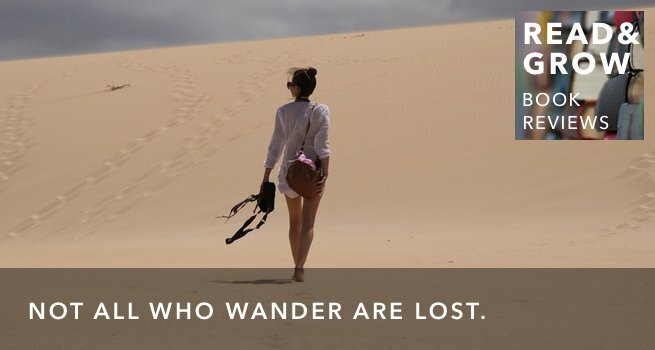 The issue at the heart of wandering is that there is no one way it happens, and when we find ourselves wandering it will impact vast swaths of our lives, even areas we might think unrelated. Faith doesn’t mean constant certainty. Trust doesn’t mean knowing everything. Following Jesus doesn’t always happen in a straight line. Growing in Christ is much more like gardening than it is like putting together a puzzle or building something in a factory. This is not scary news. It’s freeing, hopeful and encouraging, for when we wander, we do not wander alone. There is a whole heritage ahead of us, mothers and fathers in the faith who wandered before us. Jesus himself spent his time in the wilderness. If you find that your life of faith has found contemporary American Christianity an awkward fit, perhaps it’s because you’ve been wandering and the Church was ill-prepared to walk with you. I’m excited to see that changing. * Christians who have felt stifled by a religion that was all about steps, strategies, and one-size-fits-all solutions. * Anyone who feels like they are in a desert season of life.